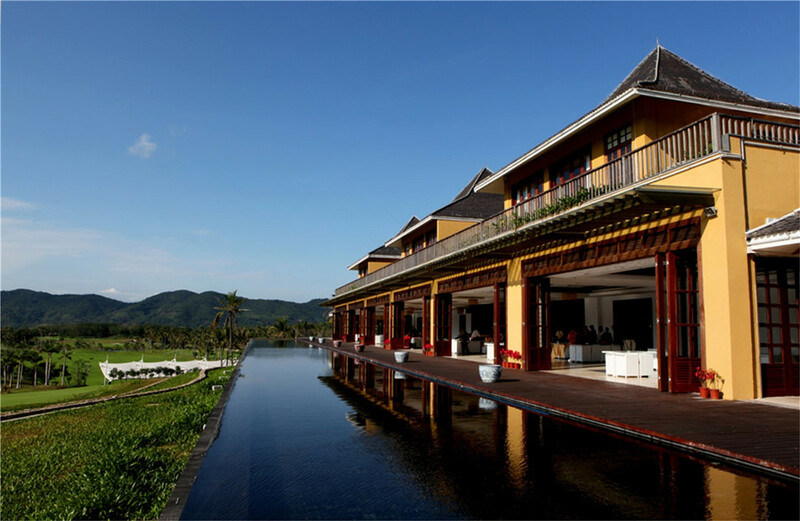 Sanya Mystic & Springs Golf Club is located in Pearl River/Zhujiang Nantian Hot Spring Tourism Zone, which is part of to Haitang Bay district of Sanya Hainan Island. 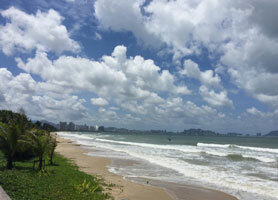 So the best option is to stay in the Hotels on Haitang Bay. 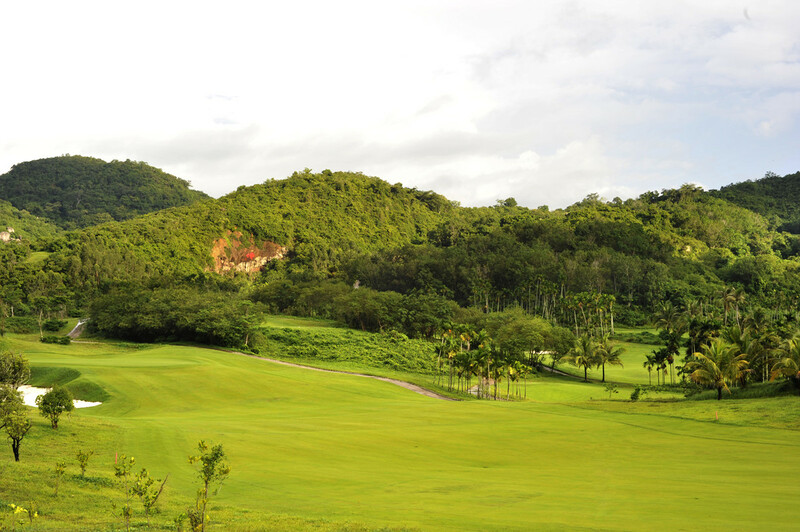 Or golfers can stay in the nantian hot spring hotel managed by the same company Pearl River Group within just 10 minutes drive from the golf club. 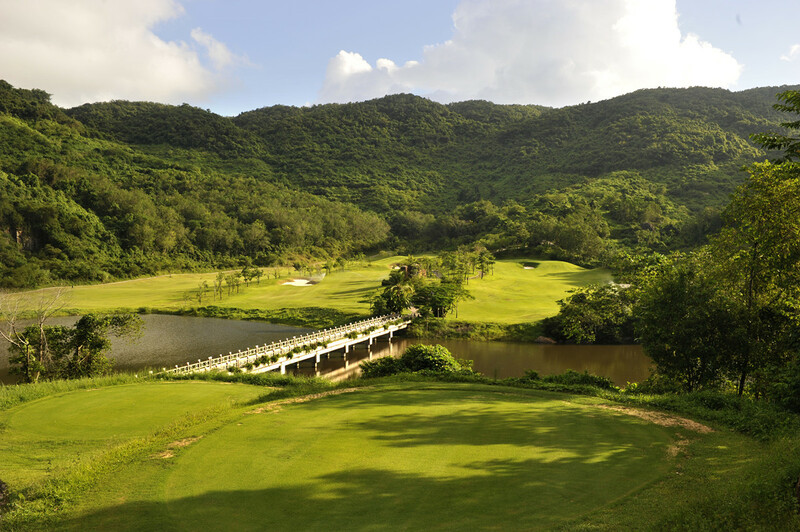 From the golf club, it takes about 45 minutes drive from downtown Sanya and Sanya Airport. 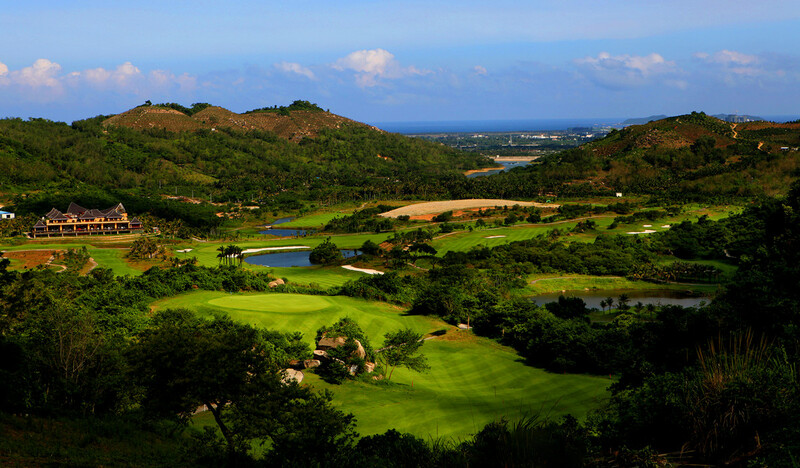 Sanya Mystic & Springs Golf Club was built according to PGA standard, and designed by world-renowned golf course architecture firm Nelson & Haworth. 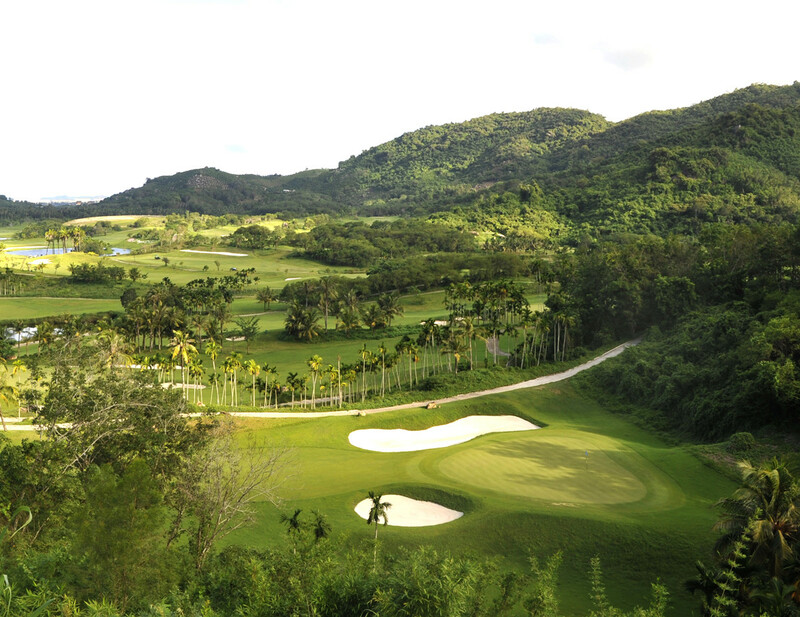 The club is a 36-hole golf course spans across 150 hectares. There are actually two 18-holes courses – the Mystic and Springs Courses with lengths of 7175 yards and 7442 yards respectively. 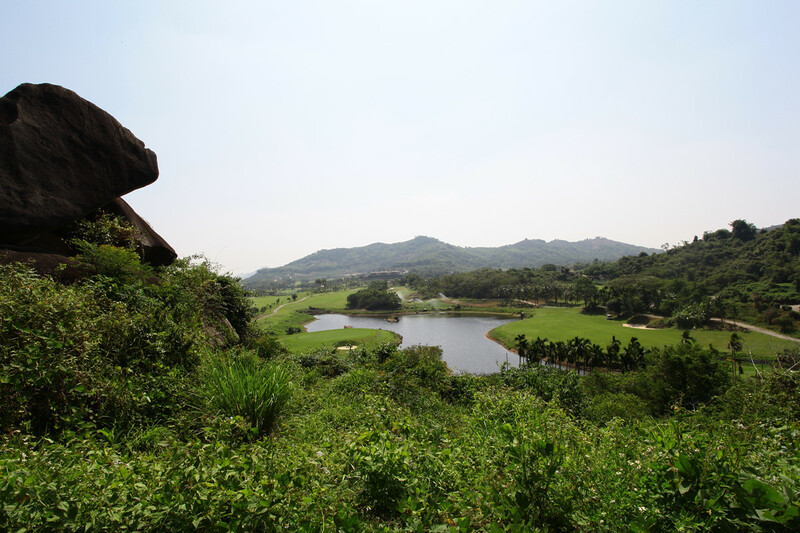 The layout of the golf course features mountains and water and preserves a large part of the natural heritage of the terrain, so tropical gardens, fruit and flower orchards populate the natural outcrops of the land From high vantage points in the area, the National Seashore Haitang Bay and the Wuzhizhou island can be admired in their natural splendor. 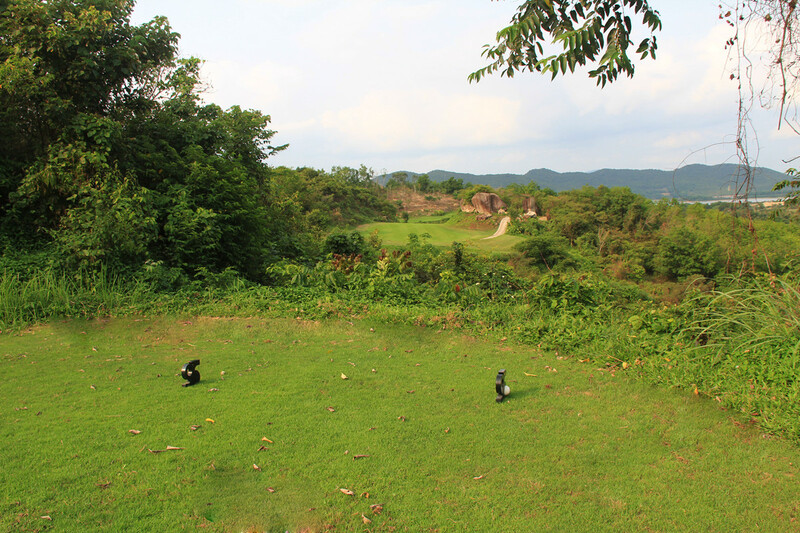 Mystic and Springs both are at CNY800/person with Green fee (18 holes), caddie/person, cart/two persons, insurance, service charge. 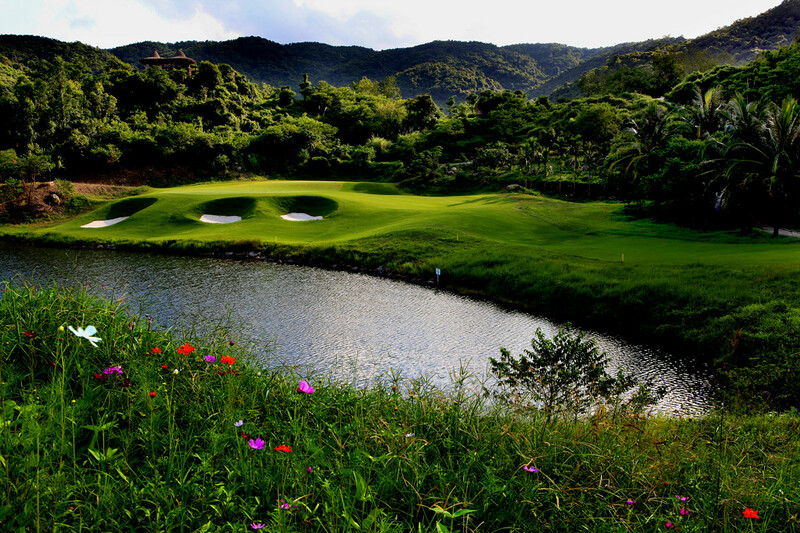 Mystic at CNY1080/person, Springs at CNY1480/person with Green fee (18 holes), caddie/person, cart/two persons, insurance, service charge.